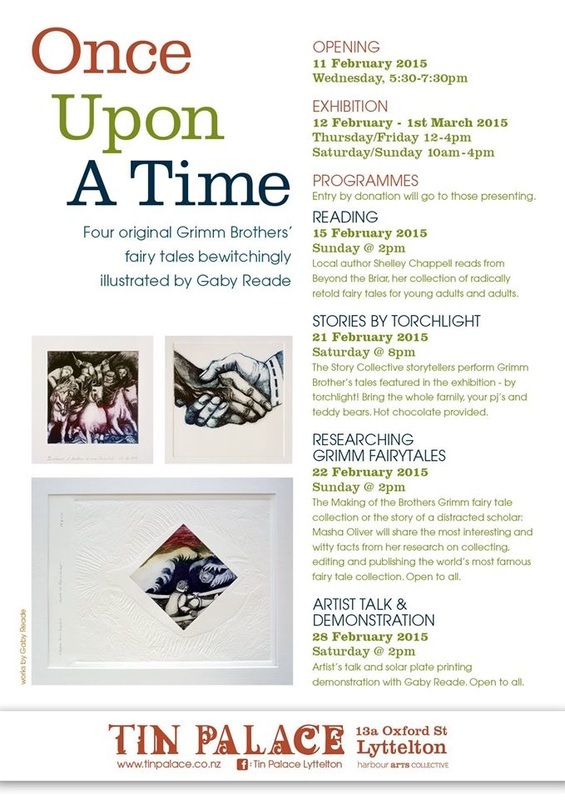 The Story Collective had fun collaborating with The Tin Palace art gallery in Lyttelton for the Once Upon a Time exhibition, with an evening of Grimm’s fairytales - Stories by Torchlight. 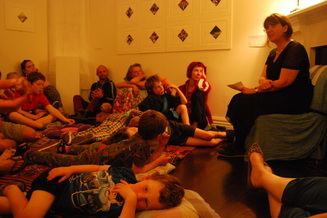 Children and parents brought along comfy blankets and cushions and curled up snug to listen to stories before bedtime. 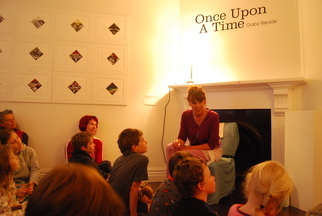 The evening shared the stories of the art works by Gaby Reade in the exhibition: The Fisherman and his Wife, Blue Beard, Rapunzel and The Shoemaker and the Elves - with generous helpings of hot chocolate and fairy bread!